Arguably, the biggest theme park to open in 2014 was Chimelong Ocean Kingdom in Fuxiang Bay, China. It has already set several Guinness World Records, including the record for the world’s largest aquarium. 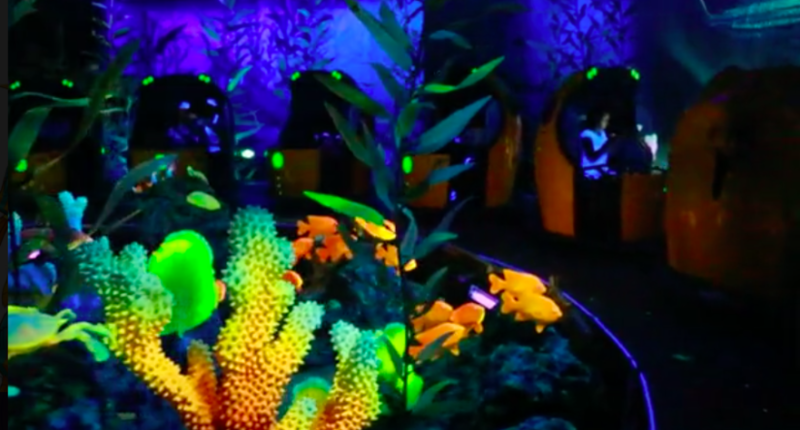 Within part of that aquarium lies Ocean Kingdom’s signature attraction: Deep Sea Odyssey. 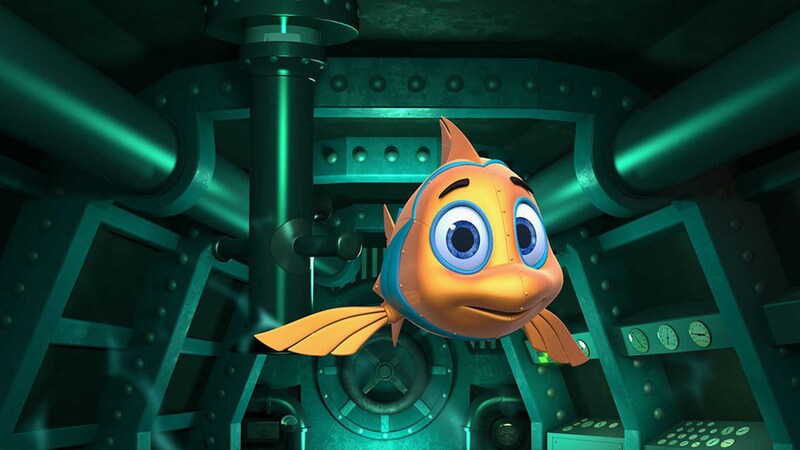 I recently had the chance to chat with the folks at Falcon’s Treehouse who were the Executive Producers and Media Producers for the Deep Sea Odyssey. 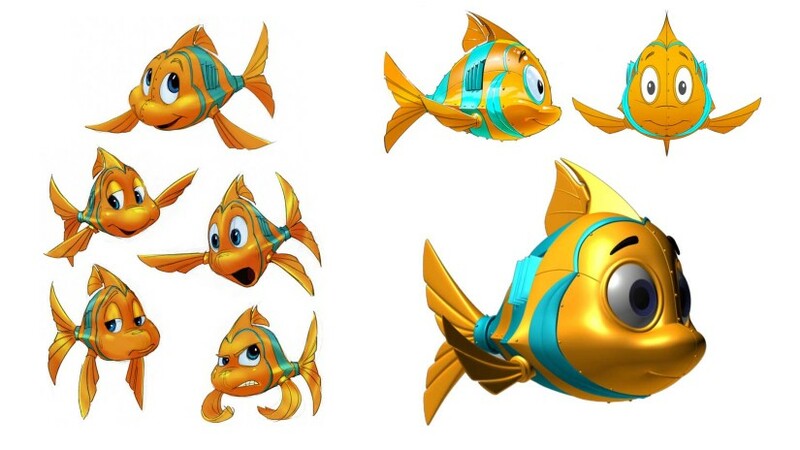 A total of eight characters were developed for Deep Sea Odyssey including, Pao-Pao, Sea Monster, Squid, Schooling Fish, Whale Shark and three jellyfish. According to Robert Salmeron, Marketing Coordinator for Falcon’s Treehouse, their intention was to create characters that would resonate with guests of all ages. Many different designs and color schemes were investigated before the final version of each character and more specifically Pao-Pao, their protagonist, were decided upon. The omnimover style ride system can carry 2,700 passengers per hour along the Deep Sea Odyssey ride track that takes roughly 11 minutes to complete. 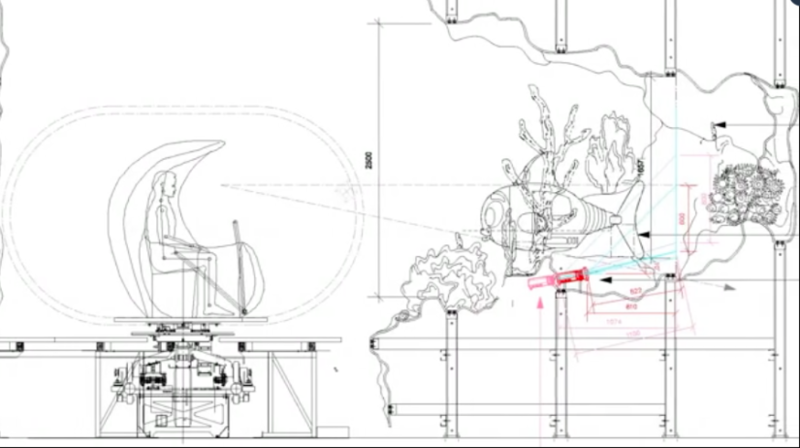 While programming the characters, some of which talk directly to guests while on a continuously moving vehicle, the animators had to take into consideration where the site line of riders with various heights. 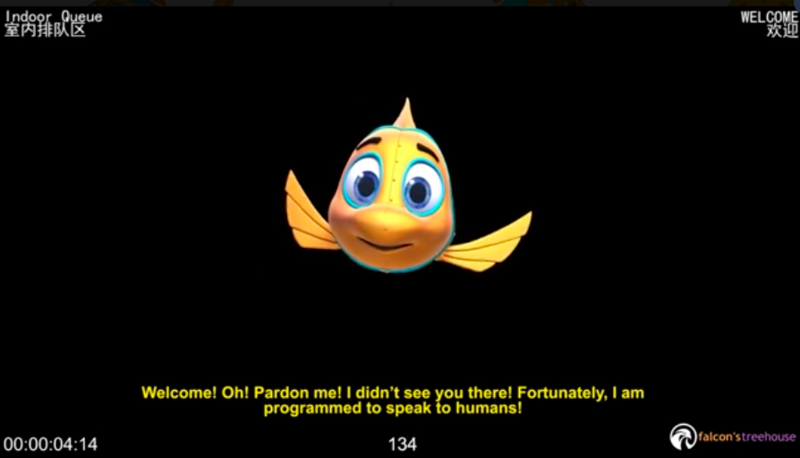 In addition, they had to make these characters work for a Chinese audience. 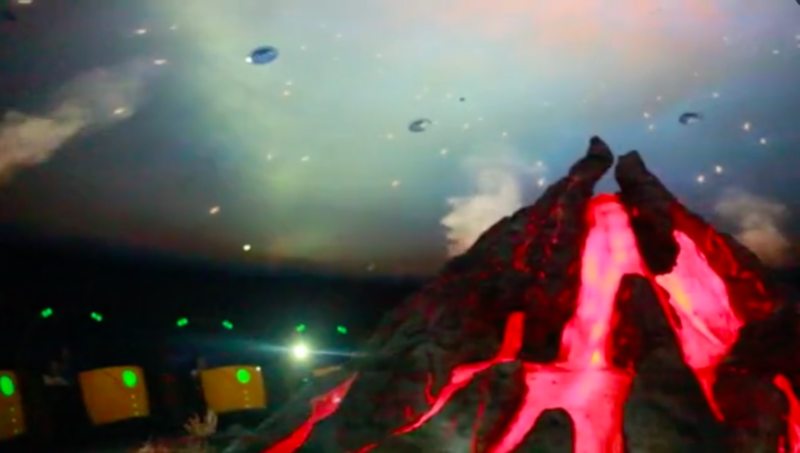 Want to take a behind-the-scenes look at this fantastic attraction? Check out the video below. Make sure to follow Theme Park University on Twitter and like our Facebook Page! This entry was posted in International Parks, Theme Parks 101 and tagged Chimelong Ocean Kingdom, Deep Sea Odyssey, Falcon's Treehouse, marine like park, Omnimover, Pao Pao. Bookmark the permalink. Trackbacks are closed, but you can post a comment.